The requirements for the T2202A forms have changed and therefore the forms mailed to you in February are incomplete. The new format includes an additional breakdown of tuition and months. If all your schooling was prior to July 1, 2017, then your slips will likely be correct. However, if you have taken classes before and after July 1, 2017 OR took classes starting after July 2017 then it is likely you will need an Amended T2202A to fill out your tax forms. We will send amended T2202As to all students who were affected prior to the end of March. If you have questions regarding your T2202A, contact Carlton Trail College at 1.800.667.2623. Remember: You still need to determine whether you are eligible to claim the amounts on your T2202A slip. If you have questions regarding your eligibility, contact the Canada Revenue Agency (CRA) or a tax professional. During the 2016-2017 academic year, Carlton Trail College generated $16.3 million in gross domestic product (GDP) within the Carlton Trail College region and an additional $19.2 million within the province, according to a recent Economic Impact Assessment conducted by Regina-based Praxis Consulting. As part of the assessment, Praxis found that Carlton Trail College also generated 185 employment positions and $10.8 million in labour income within the region and an additional 219 positions and $8.8 million outside of the region. This assessment was part of a province-wide study that looked at the economic impact of Regional Colleges across the province. The Saskatchewan Input-Output Model was used to measure the provincial economic impacts and a regional-level economic model was constructed for each college to assess the impacts at the regional level. The study looked at student spending while enrolled, spending of salaries once students graduated and were in the workforce, the productivity impacts of graduates working in their fields and college operations during the 2016-2017 academic year. “This study shows how Carlton Trail College and our students, graduates and operations benefit the region’s economy and the province as a whole,” said Carlton Trail College’s President and Chief Executive Officer Shelley Romanyszyn-Cross. “We are proud to provide exceptional education and training which not only meets the needs of our students, but also meets the needs of business and industry in our region and province,” Romanyszyn-Cross added. Carlton Trail College serves a region with a population of over 66,200 people and spans from St. Brieux in the north to Lumsden in the south, to Wadena in the east to the outskirts of Saskatoon. During 2016-2017, the College employed 47 (FTE) staff and instructors and offered 295 programs/classes to 2257 students in 30 communities. Click here for a copy of The Carlton Trail College Economic Impact Assessment. The Carlton Trail College Board has appointed Shelley Romanyszyn -Cross as its president and chief executive officer. The appointment was publically announced via a media release on September 12, 2017. “We are pleased to announce that Shelley Romanyszyn -Cross has accepted the position of president and chief executive officer,” said Carlton Trail Board Chair, Glenn Hepp. “Her extensive experience with the College and knowledge of the College’s region, programs and staff will greatly benefit our students and her leadership skills will help to ensure the success of the College for many years to come,” said Hepp. “I am extremely honoured and humbled to be appointed to this position. I am excited to continue to work with our students and staff to deliver programs and services that meet the needs of our students and the region we serve,” said Romanyszyn-Cross. “For over forty years, Carlton Trail College has impacted the lives of many people. The transformational effect that education can have on an individual and those around them is incredible,” she added. Romanyszyn-Cross was appointed as the interim president and chief executive officer earlier this year and received the permanent appointment to the position in August. In addition to this appointment, she will continue to be the College’s senior academic officer, a position she has held since 2008. Romanyszyn-Cross joined the College in 2001 as community program facilitator at the Davidson campus. In 2005, she moved to Watrous and became the industry/trades coordinator. 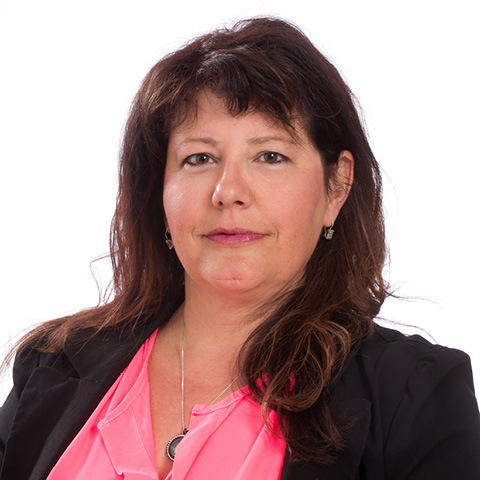 Her credentials include a Bachelor of Arts (Honours) in Public Administration and Psychology from the University of Saskatchewan and a Masters of Adult Education from the University of Regina. Romanyszyn-Cross is involved in several working groups and committees that relate to different facets of the post-secondary system in Saskatchewan. She and her husband, Al, live in Watrous and have two children, Cayle (19) and Zach (16). Ten students explored the world of digital gaming at a Tech Camp held July 31 to August 2 at Carlton Trail College in Humboldt. The participants, between the ages of 12 and 16, were from Humboldt and the surrounding area. Participants were introduced to animation, graphics and programming principles and techniques needed to build a digital game. At the end of the camp, they were able to take home the game they created. “The participants had the opportunity to develop their tech skills while exploring the fun world of digital gaming. 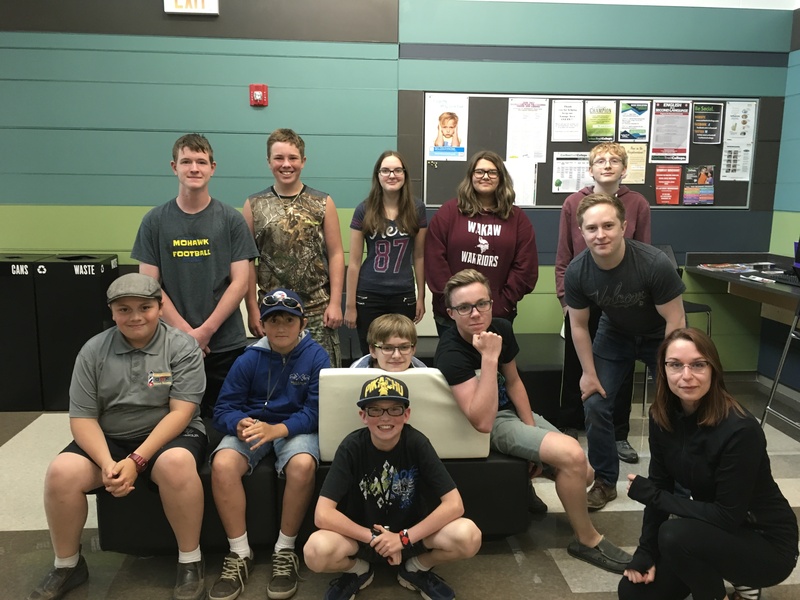 This experience has expanded their knowledge and may lead them to consider future careers in technology,” said Jenny Glessman, Office Coordinator of Sagehill Community Futures. The Tech Camp was one of 10 offered in the province through the Tech Camps for Saskatchewan Youth Initiative. Sagehill Community Futures, Saskatchewan Polytechnic and Carlton Trail College partnered to bring this camp to Humboldt. Good News!!! Carlton Trail College has waived application fees for programs that start in the 2017 - 2018 academic year are waived until February 28th. Also, students who apply to a post-secondary program of 12 weeks or longer prior to the early application deadline will have their name entered into a draw. One scholarship will be awarded per program. Three long-term staff members were recognized at Carlton Trail College’s Staff Start-Up Meeting held September 1, 2015 at the Uniplex in Humboldt. The three employees recognized for long-term service were Murray Cook, Welding Instructor (10 years), Andy Burgess, VP Finance (15 years) and Denise Germain, Program Delivery Associate (25 years). Four Carlton Trail College students were awarded scholarships totalling $16,000 at the College Campus in Humboldt on Monday. The Viterra/Saskatchewan Innovation and Opportunity Scholarships were presented to the students with the highest final marks in this year’s Industrial Mechanics and Electrician Programs.